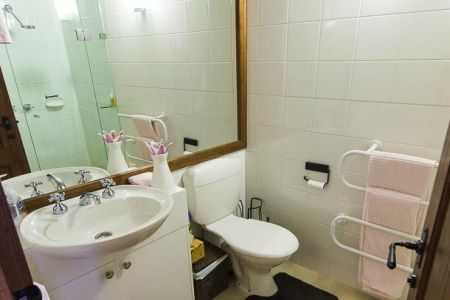 This apartment is located on the 6th level, west side of the Chalet Apartments. 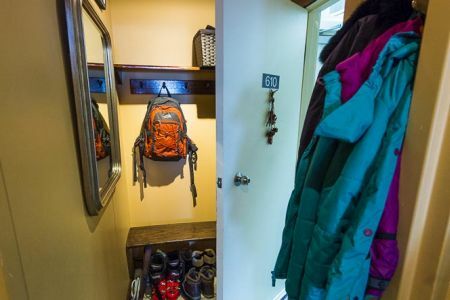 It provides easy access to Mt Buller Ski School which is perfect for families with small children. It is an easy walk to the Village, Supermarket and the many mountain restaurants and bars on offer. 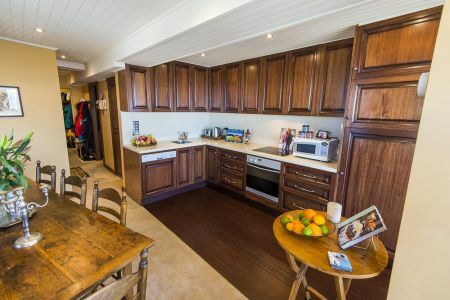 Privately owned, luxury apartment offers on snow, true Ski In Ski Out, Bourke St location. 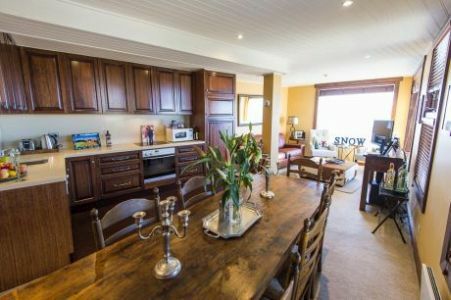 With stunning Delatite Valley and Mt Stirling views, this beautifully decorated, warm toned, comfy leather lounges, open kitchen and cosy beds will have you finding it hard to head out to the slopes each day! This 1 bedroom apartment has a Queen Bed and leather sofa lounge. 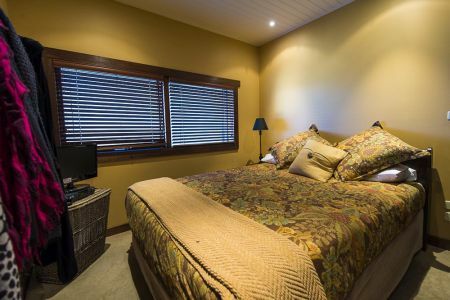 Mt Buller Chalet Apartments building is located in the heart of Mt Buller Village. In total sleeping up to 4.